First I want to say thank you to all of you. Without you I dont think I would post or play the game. 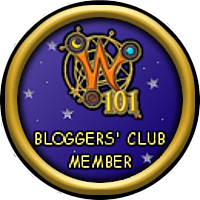 Both p101 and w101 have great people, while some are not so great in my opinion most are. like for example my buck pvp post. while the feedback wasnt positive, people didnt say anything mean really, they gave me their honest opinion and some suggestions (thank you for the constructive criticism). To be honest one person was kind of rude but even so I would have approved his comment if they provided ways to help. (lesson there is I accept blunt criticism, just tell me a way to improve if you do critique me) But what i'm trying to say is thanks to all of you, i'm going to sort out some irl stuff, than make this an official p101 blog. The steps are. 1 secure myself in life, i need money to go to college so i need to work more. 2 get a domain. last one expired but ill get another! Oncs again thank you all, and cya in the spiral! !